Donate - ...turning the mortality rate into the survival rate. Our Pink Fighter's have the fight of their lives in one of the most challenging environments. They must contend with hospital strikes, societal stigmas, and the overwhelming cost of treatment. The support that Run For a Cure Africa offers these women is often the difference between life and death. Our Pink Fighter's live with breast cancer for years before a diagnosis. Unaware and fearful of the symptoms, they choose to live in denial until they can no longer ignore the cancer growing inside of them. Your donation helps RFCA offer regular breast cancer screenings at no cost, so women develop the habit of this life-saving exercise. The average cost of breast cancer treatment is N2Million. 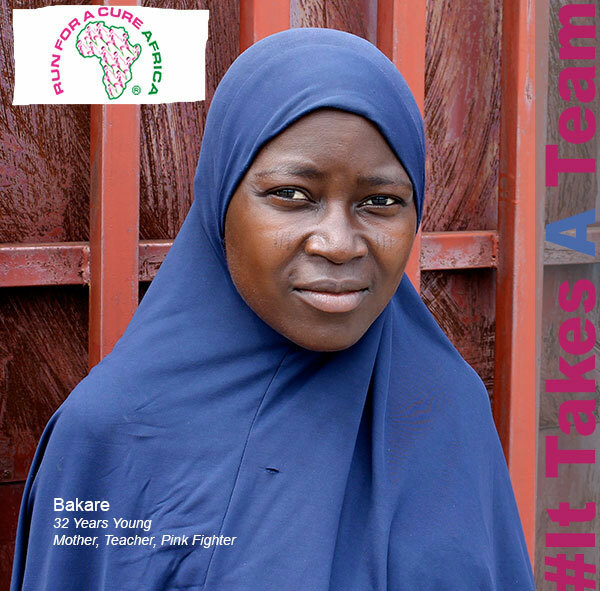 To women that earn a minimum wage of N18,000 it is nearly impossible to start treatment. When you donate to our Pink Fighter's Club, you give them a fighting chance.